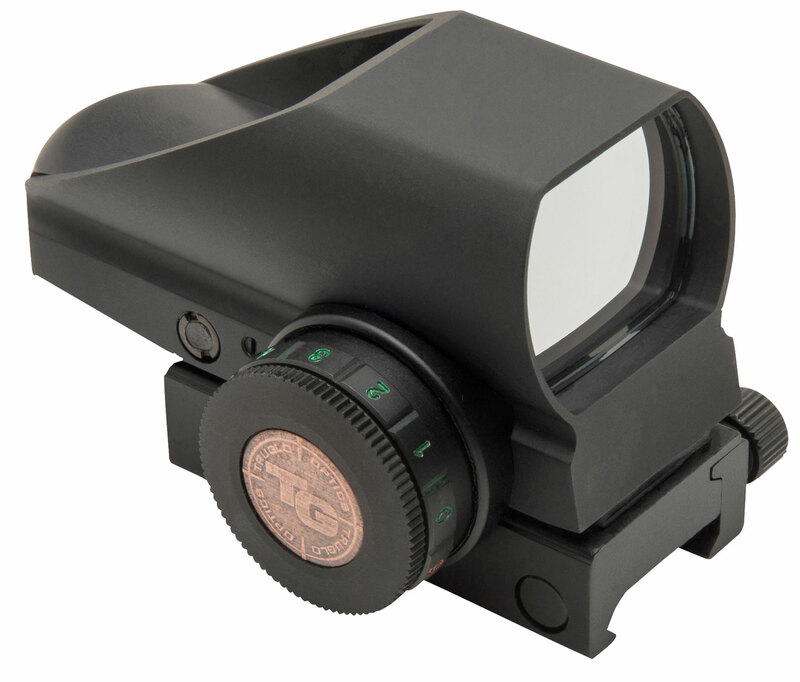 TRUGLO-Dual open red/green dot sight has two choices of reticle color for contrast against any target or background. It's compact design is durable. A unlimited eye relief gives a wide field of view for ultra fast target acquisition. The target side of the 24x34mm lens is coated for anti-reflection and is parallax free from 30 Yards. This sight has a integrated weaver-style mounting system and (3V-cr2032) batteries are included.